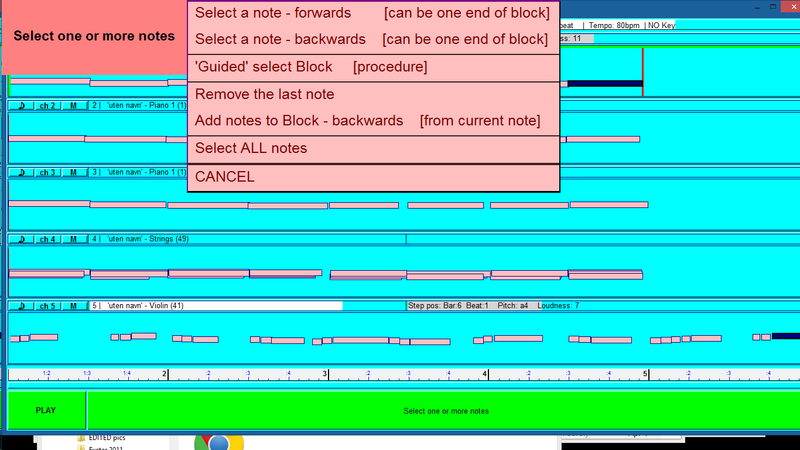 Everything in E-Scape can be done using a series of pop-up menus which can be operated with one or more switches, MIDI notes (from any MIDI drumpad, keyboard or controller), as well as computer keyboard or mouse. So even if you can only move one part of your body you can operate the whole system to compose or perform. But what if you are ‘locked in’, and can’t move any part of your body, just your eyes? 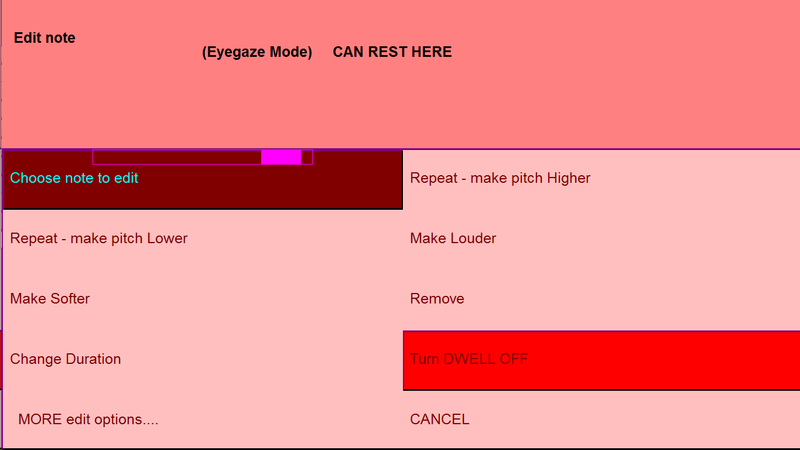 With E-Scape’s new ‘Eyegaze’ mode you can. The menus can fill the screen, and each item can be selected by keeping the mouse cursor on it (‘dwelling’) for a set time. 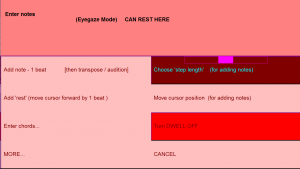 This allows an ‘eyegaze’ user to operate it – the position where the eye is looking controls the mouse cursor, and it the eye is kept on an item for the set time (‘dwell time’), then the item will automatically be ‘pressed’. 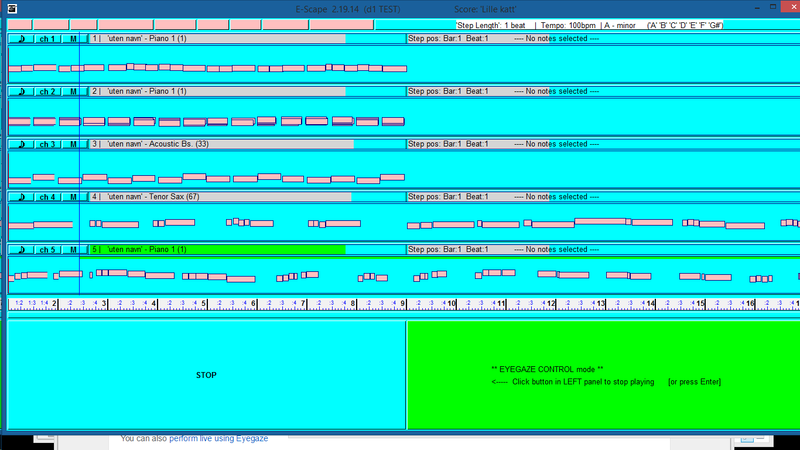 A moving bargraph shows how the dwell time is progressing. You can change this time, to suit your eye control. 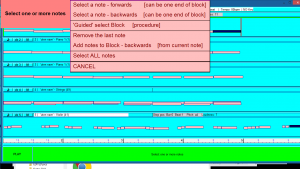 Also when you are carrying out an editing operation in the score window (eg transposing a note up), you can dwell in the bottom panels to continue (eg transpose up one more step), or finish the operation. 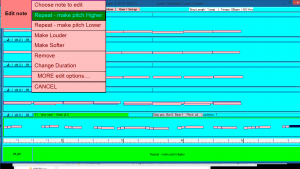 This is a video of Bram at an early stage trying out composing with E-Scape. He had tried out several other systems before this, but found this was the only thing which worked for him. 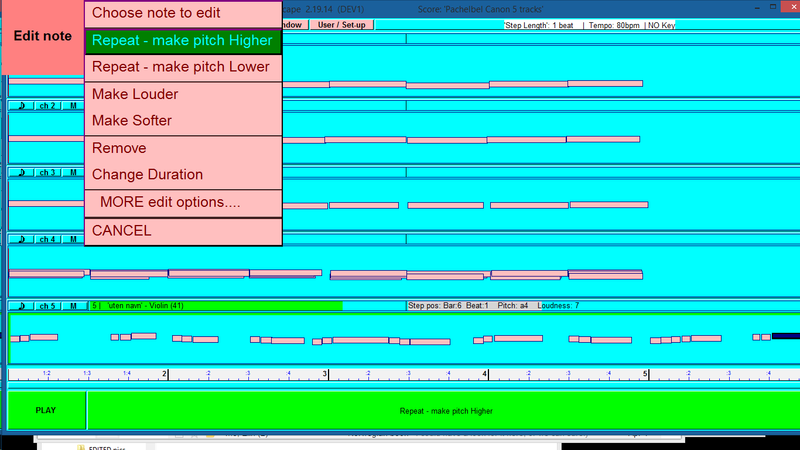 In the film, Bram navigates the menus to choose an instrument and note length. He then enters notes and changes their pitch, creates chords, and play back the music.